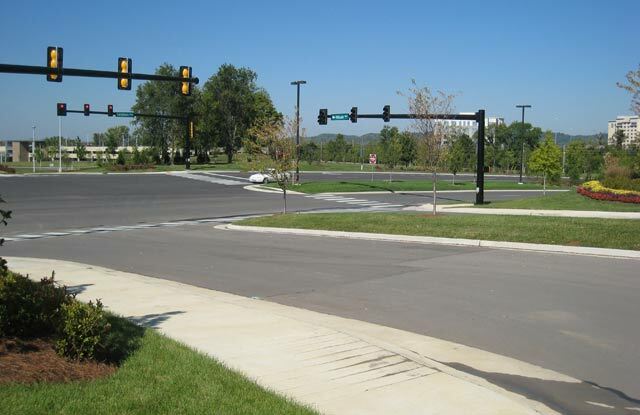 Carothers Parkway Extension - The Parkes Companies, Inc. The project included a .636 mile extension of Carothers Parkway between Cool Springs Blvd. 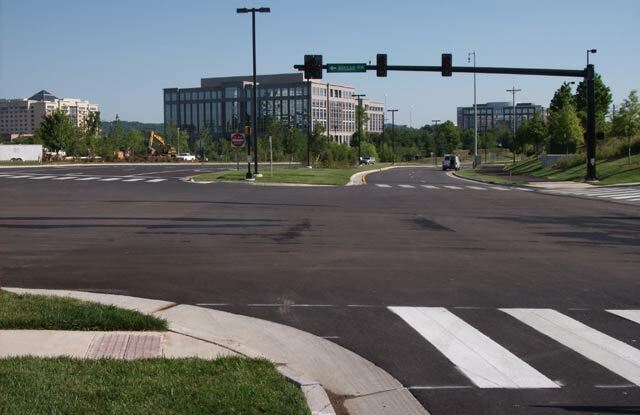 and McEwen Drive and rehabilitation of a 1,200 foot stretch of Cool Springs Boulevard. 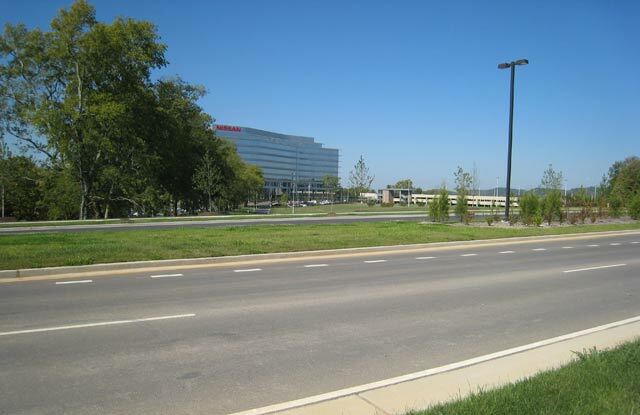 This extension of Carothers Parkway provides access to the new Nissan Headquarters as well as various sites owned by Crescent Resources. 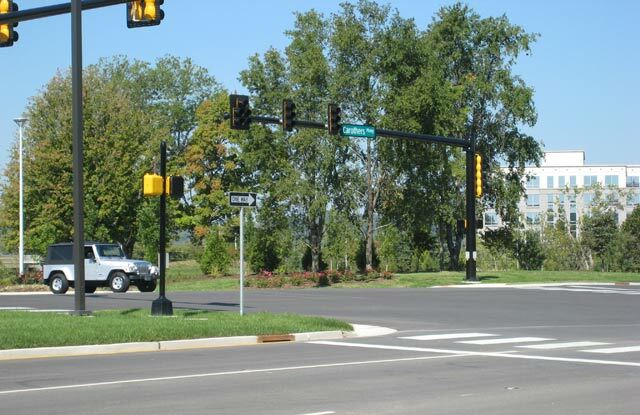 The scope of work included rock blasting, dirt/rock excavation, storm piping, installation of water main and duct bank, electrical, curb and gutter, paving, and installation of a new traffic signal at Nissan Way, the main entrance for the Nissan Headquarters. 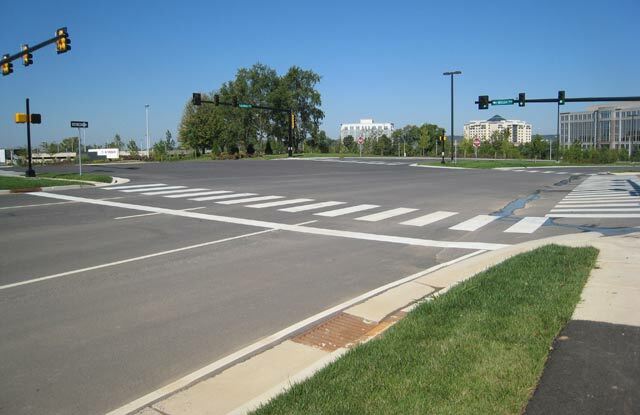 Rehabilitation of Cool Springs Boulevard included construction of a new turn-lane at the Carothers Parkway intersection and a night-time milling and resurfacing operation of east-bound Cool Springs Boulevard between the I-65 bridge and Carothers Parkway.